Swimming is one of the most popular family activities in the UK. It is also the most popular participation sport in the country, with almost 2.9 million Brits swimming at least once a week. Aside from the fun, swimming is also a very healthy sport, particularly for infants, toddlers and young children. Research conducted on the subject revealed that kids who participate in swimming attain physical developmental milestones, language skills and social skills at a faster rate compared to their non-swimming peers. However, the water is not the natural habitat of humans, so there are many inherent risks that we need to be aware of. 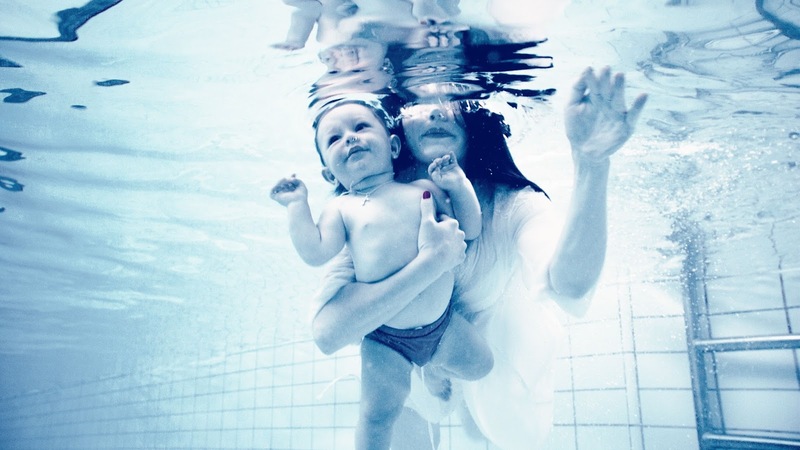 Drowning is statistically the third highest cause of accidental death for children in the nation. So, it makes great sense to ensure that children learn to swim, which is considered a survival skill, from a young age. 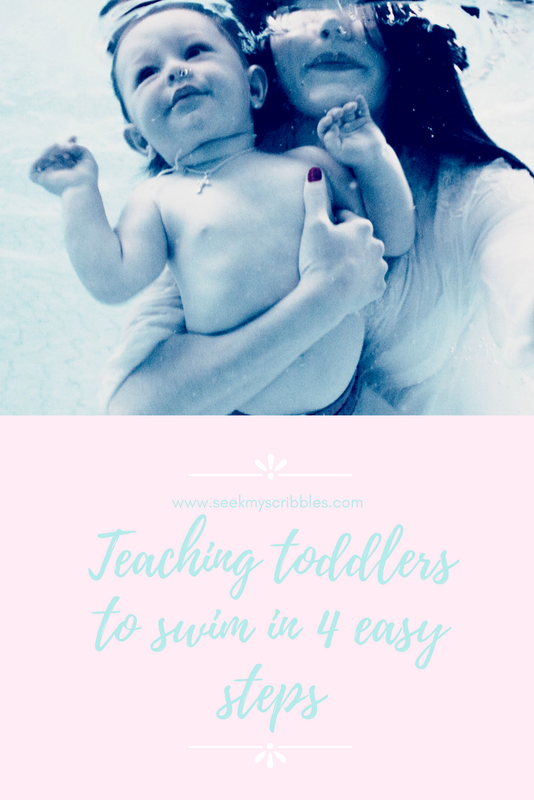 And instead of spending on swimming lessons, you can actually teach your children to swim using the four easy steps below. Buy kids swimming aids for your children. Although they are not life saving devices, they do provide a useful amount of buoyancy that will help your children be more comfortable in the water. The buoyancy will also allow them to focus on developing their swimming skills instead of trying to stay afloat or upright. For infants and young toddlers, swimming rings are a great aid to get them started. However, please ensure that it is the right fit so that your child can’t slide through the hole. For toddlers and young children, swimming arm bands are the way to go. It bears reminding that young children can drown in just seconds, so never, ever leave your child unsupervised in the water. Get your children to get used to the water by letting them simply play in it. Obviously, it needs to be in shallow water. A wading pool or a kid’s pool is perfect for this. Familiarise your children with the weight and resistance of the water by getting them to splash the water with their hands and feet. This is incredibly useful because children will not understand the density of water and the greater force required to move in water without experiencing it themselves. Place small pool toys or dive toys in the wading pool and ask your children to retrieve them. Make a game out of it instead of turning it into a chore, so be sure to pick up some toys your child throws as well to balance things out. Once your child develops sufficient ability, strength and coordination to pick up the toys regularly, you can actually start on the swimming lessons. Step 4: Do the belly float! Move to a proper pool or beach, but be sure to stay at the shallow end. Start your lessons with the basics. Get your child to lie on their belly on the surface of the water with you supporting them with your arms across the belly and thighs. Ask them to start paddling with their hands to create a forward movement. Once they get comfortable with this method of traveling (let them do this in their own time), remove the support from their thigh (so your arm is only supporting their chest region now) and get them to use their feet to paddle as well. After several lessons, they will be able to move around the water without any support, bar the swimming aids. At this stage, you can probably start to teach them the correct techniques for swimming. Their confidence and mobility in the water will make mastering swimming techniques so much easier. Please note that infants and young toddlers can get chilly very quickly, so always be mindful of the temperature of the water. One of my beauty-related resolutions for the New Year was not to purchase any makeup or skincare that I didn't really need, so you're probably wondering why I'm coming at you with a 'new beauty buys' post. Well, I decided that actually, I did need the beautiful items above! Perhaps two lipsticks AND a tinted lip balm was pushing it slightly but after rummaging through my very disorganised makeup collection, I realised I only owned one lipstick (after doing a massive makeup cull a few months ago) so these purchases were completely justified! The lipsticks I chose were from the new ASOD DESIGN makeup range. I say new - I don't know how new it actually is but it's very new to me! I was really drawn in by the cute pink packaging and the fact it's not tested on animals. I decided to go for Frosty, a deep berry shade with a creamy satin finish (perhaps not the most spring-like shade but it went with a dress I planned to wear) and Uncompromising, a raspberry pink creamy matte lipstick. The latter is a shade that really seems to suit me and is something I'd wear out and about on a daily basis. So far, I'm really impressed with the quality of these lipsticks - they're easy to apply and have good staying power. At £7 each, I think they're very reasonably priced and I'll definitely be adding a couple more shades to my collection at some point! My lips really suffer in the colder months but rather than buying a bog standard lip balm, I wanted something that would add a little tint to my lips too. 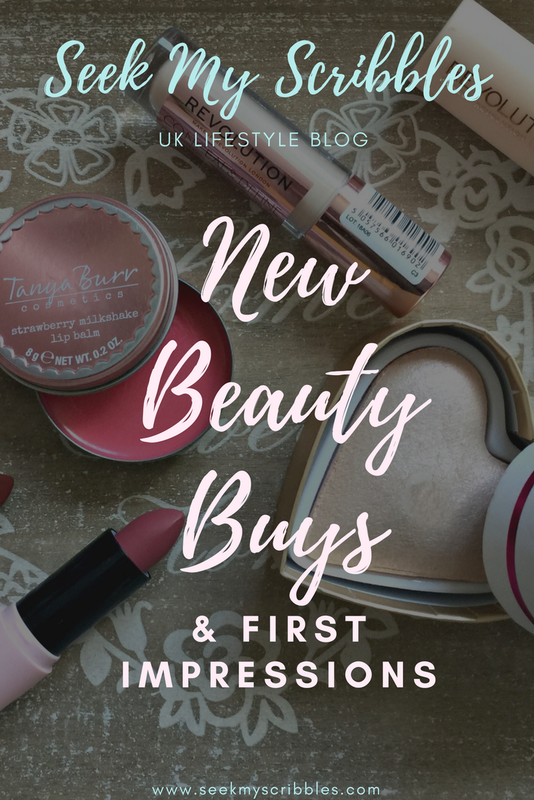 The Tanya Burr cosmetics lip balm caught my eye because of the pretty rose gold packaging, the fact it was called 'strawberry milkshake' which has to be one of my favourite flavours going and the 99p price tag! The pink tint is subtle but very pretty on the lips and I find the balm itself does a good job at moisturising the lips and adding a lovely glossy (but not sticky) finish. It's perhaps not the most nourishing lip balm out there but it does exactly what I wanted it to, so all in all, a good buy! 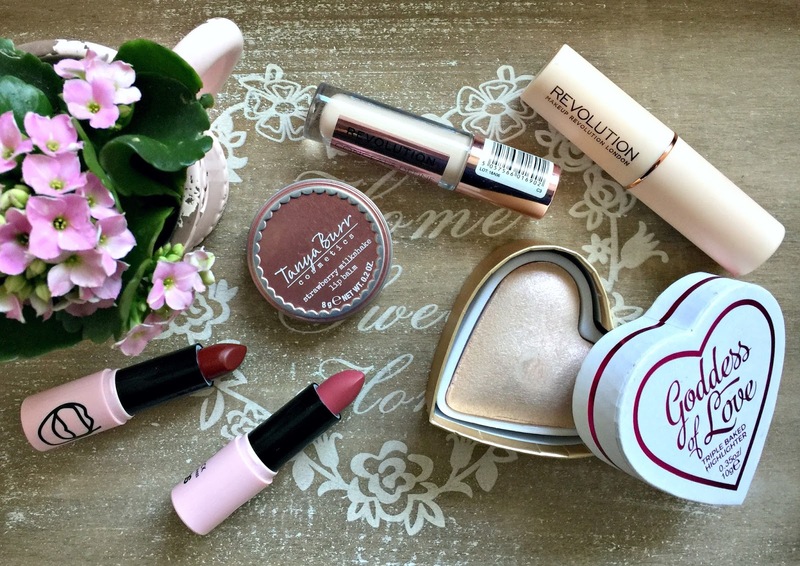 The final three new beauty buys are from Makeup Revolution, which is a brand that until recently, I hadn't purchased from, for a good few years. Back then I found their products a little hit and miss but after trying out their Fast Base Foundation Stick (shout out to Emma because it was her fast base foundation review post that inspired the purchase - she's even included before and after photos, so it's well worth a read), Conceal & Define Concealer and Goddess of Love Highlighter, I'll definitely be buying a lot more of my makeup from them in the future. I've found all three items to be of great quality and when you consider the cheap price tags, they're bloody amazing! Not only that but they're a British company and do not test on animals, which gives them even more bonus points from me. The fast base foundation in F1 is definitely my favourite purchase from Makeup Revolution so far. It's the perfect shade for my pale complexion and I find it blends really well using either a sponge or large buffing brush to provide a light to medium coverage (depending on how much you apply). I tend to set the foundation with a finishing powder but do often have to top it up later in the day - this isn't something that bothers me though, especially because the foundation stick is so 'travel-friendly' and easy to pop in your handbag. 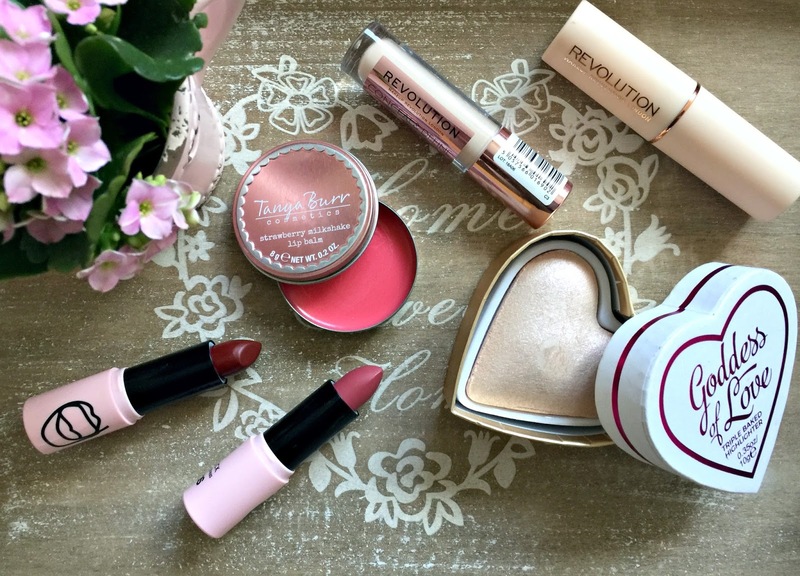 So there we have my new beauty buys and my first impressions of them! Have you tried any products from the ASOS collection? 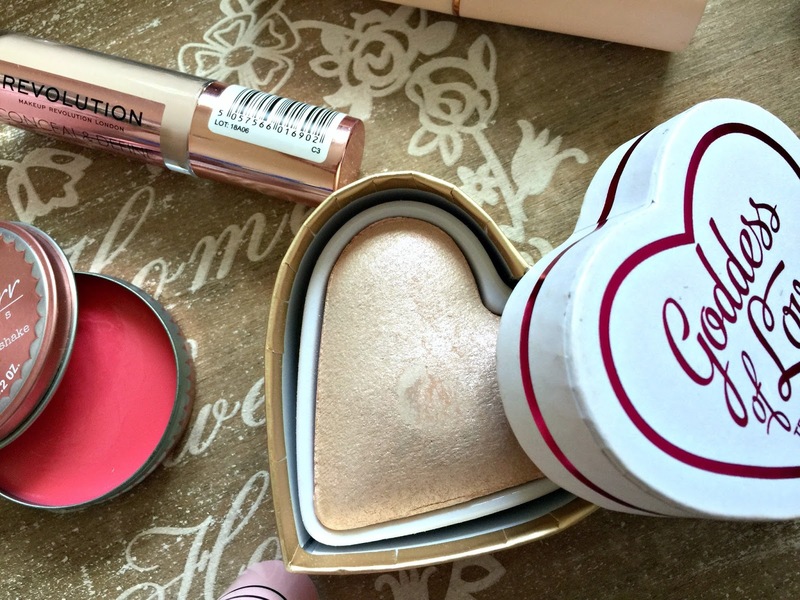 And what are your favourite Makeup Revolution buys? I'd love some recommendations for both brands! I feel like March has been a bit of a weird month for me. I don't know why but for a couple of weeks, I felt quite down in the dumps. My head seemed to be plagued with worries about anything and everything and I just felt a little lost, I suppose. I think part of it was that I felt rundown with various viruses that have passed through our household (we're still all suffering with nasty colds,) I'm still not quite in a place where I've mastered squeezing enough working time into my week and I felt like I didn't really have a 'plan.' But the last week or so, everything has felt so much better. I'm in a much more positive frame of mind and although I don't believe anyone can (or should have to) feel happy 100% of the time, I'm being more mindful of the people and things that make me happy on a daily basis. I have so many reasons to smile. I think when you're feeling a bit off or not quite yourself, it's good to look for the little doses of happiness in each day and trust me, there's usually something that has made you smile! From the first outing of the year without a coat, chats on the swings with my son, holding hands in the car, making family memories and talking about the future; I've had no trouble finding little doses of happiness this last week. It doesn't matter how small or insignificant your happy things may seem to others; it's all about what makes you feel good about yourself. Learning something new and challenging yourself can also really help with personal growth and well-being. I've recently found happiness in something I never thought I'd find happiness in and that's learning to drive! Yes, for those that don't know, I'm currently learning to drive and for me, it's kind of a big deal! I started learning about ten years ago but gave up for one reason or another. I guess it's always made me feel anxious and quite honestly, I'm not a natural, so I've found it quite difficult, starting again. But this time, I've got Arthur as my motivation to succeed and I have to say, there's no better motivation. Although I've still got a long way to go, I can see I'm improving from one lesson to the next and my confidence is growing too. Not feeling anxious before my lessons is a massive improvement and my determination to see it through until I pass has me feeling very proud of myself! There's no denying it, I'm a girl that likes a plan. Whilst plans don't always unfold the way you think they will (not always a negative - this can sometimes be the best thing ever) I think having goals and an idea of what you want is definitely a positive thing. Of course, living in the moment and not rushing through life is important too but I don't think there's anything wrong with thinking about your future. Doing something purely 'for you' is so important for well-being. Whether it's playing a sport (side note: this is not for me), reading a book, writing a blog post (that's more like it) or simply watching a boxset on Netflix, a lot can be said for taking some time to do what you want to do. I think this is something I've found harder since becoming a mum but not entirely impossible! There's a quote I like that reads 'stay close to people who feel like sunlight.' I may not have loads of people in my life but I'm very lucky that the ones I do have are wonderful and only contribute good things. Surround yourself with people you value and who value you in return. This is a lesson I learnt the hard way but I think sometimes this happens so that when something beautiful comes along, you're ready for it and appreciate it a whole lot more. 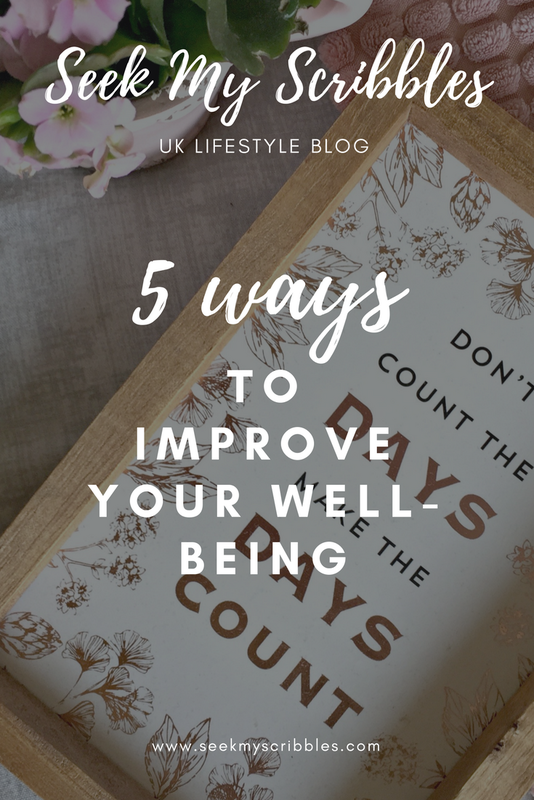 What steps do you take to improve your well-being? When it comes to my teeth, I don't have many concerns. Sure, they're not the straightest teeth in the world (despite having a top brace for god knows how long) but I'm twenty seven and haven't yet had a filling (let's hope I've not just jinxed myself) so I think we're doing pretty okay. I guess something that has always bothered me (ever so slightly) is that they're not all that white. Why? Well I'm guessing it's because I love my coffee. I mean, really love it. And we all know that coffee isn't that good for your teeth...but does that stop me enjoying it? Hell, no! I've always taken care in making sure I brush my teeth properly. I use an electric toothbrush and I choose toothpaste and mouthwash that have whitening properties - though honestly, I wouldn't say they ever have dramatic results. In the past I've also dabbled in various teeth whitening products such as Crest Strips (not one I'd personally recommend) and systems like GoSmile (I don't even know if this is still sold in the UK but it was pretty damn pricey) as well as toothpastes like Blanx, from which I've had mixed results. 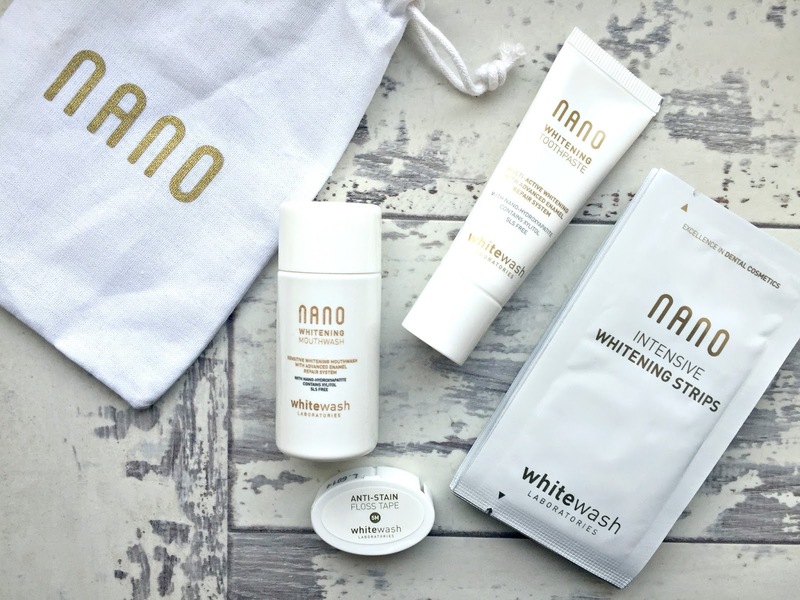 I guess, with some teeth whitening products, there's always a niggle at the back of my mind that they could be doing more harm than good but when Whitewash offered to send me some of their Nano teeth whitening products to try, my worries were immediately put at ease by the fact they're developed and formulated by UK dentists. These were teeth whitening products I felt safe and comfortable using. 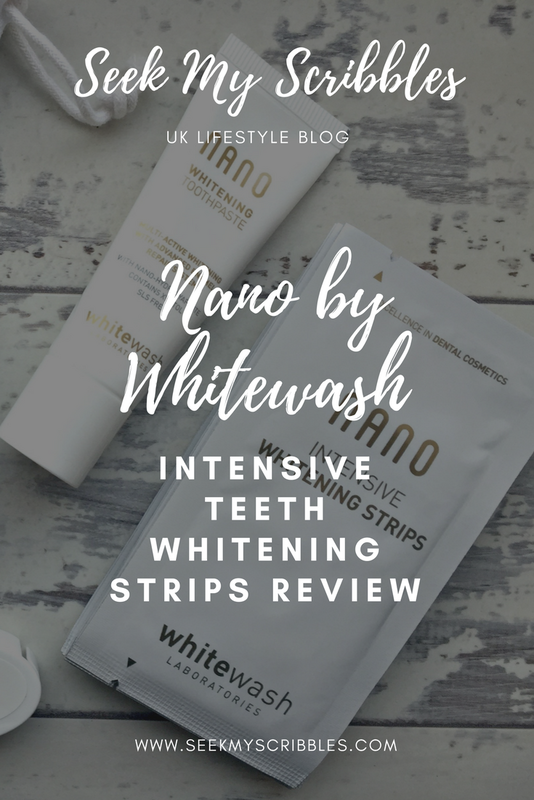 WhiteWash kindly sent over their Nano Intensive Teeth Whitening strips* (£24.95), along with their Nano Whitening Toothpaste*, Nano Whitening Mouthwash* and Nano Whitening Floss*, all of which are available from their website. Described as 'the best whitening treatment available without going to your dentist,' the two week whitening course (containing 28 strips - 14 sets of 2) gave me high expectations and I'm pleased to say delivered some noticeable results. To use the strips, you simply peel them off and place them onto your (recently brushed) teeth. I found it really easy to apply the strips and was pleased that they remained in place. The minty taste wasn't all that bad. I wouldn't say it was pleasant but definitely bearable. The only trouble I had (sorry if it's TMI) is that having the strips in my mouth caused excessive saliva build-up. I've read that this is quite common with teeth whitening products but it made it really difficult for me to keep the strips on for the hour required (which felt like such a long time). On many occasions, I ended up removing them after 20-30 minutes but even still, I felt like my teeth had a whiter appearance. Results were noticeable despite me not keeping the strips on for the recommended hour. Obviously, not everyone will have the same issue as me and others will just put up with it for the sake of whiter teeth, so I imagine that the results will be even more evident if you do follow the instructions and keep the strips in place for the whole hour before removal. Removal isn't quite as easy as application. The strips are quite sticky, so it can be hard to pull them off quickly but there's no pain or discomfort. I tend to pop a little warm water on my finger, which I found helped with removing the strips. 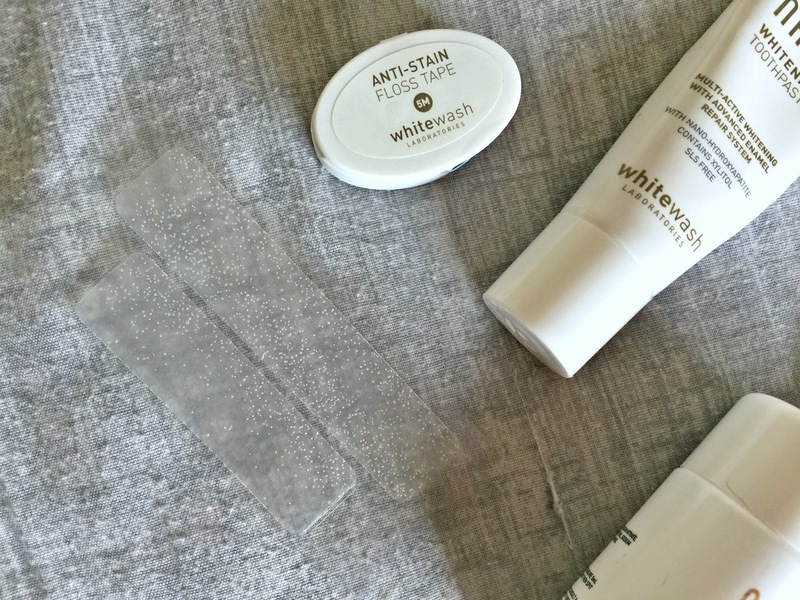 I also noticed that my teeth felt 'normal' after each application - they weren't at all sensitive, which is a real bonus, as this is something that has put me off other teeth whitening products in the past. 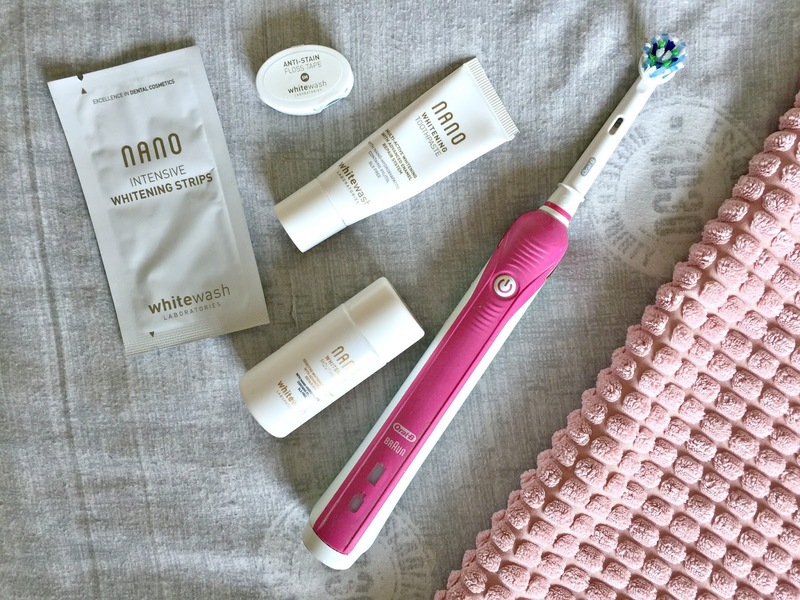 I found the Nano toothpaste, mouthwash and floss effective in assisting the whitening process. The Nano whitening toothpaste has quite an odd consistency but it's hardly noticeable once on your teeth. The minty flavour is very mild, compared to your average toothpaste, the same of which can be said for the mouthwash, which doesn't make your mouth feel like it's being stripped of everything, like some mouthwashes do! I also really like the floss but have to admit, I have nothing to compare it to as I've never really flossed...I didn't even know it was something people did on a regular basis?! But the floss itself has a pleasant minty taste and is simple to use. Even though there were things I didn't like about the teeth whitening strips (mainly the saliva build-up issue, which probably won't happen to everyone) I would still recommend them, as 1. they provided results (even though I didn't use them to their full potential) and 2. there was no sensitivity. In terms of price, they're not the cheapest out there at £24.95 but you have to consider whether some of the cheaper teeth whitening products actually provide results? And also, with the teeth whitening products from Nano, at least you have the peace of mind that they're formulated by dentists and are therefore unlikely to do harm to your teeth! I don't know about you but I'd happily pay a little extra for that peace of mind. *These items were gifted for the purpose of this review. Although you probably wouldn't believe it, considering all the snow we've had, spring is finally here, making now the perfect time to spruce up your home for the season ahead. When it comes to revamping and updating the home, people often concentrate on their living room or kitchen - after all, it is the 'hub of the home' however, I think it's just as important to give your bathroom a little extra love too. One of the easiest ways to revamp your bathroom for spring is to buy new bathroom linen. A new set of fluffy towels and a matching bathmat can add a new colour to your interior - just make sure it tones in with any paintwork. 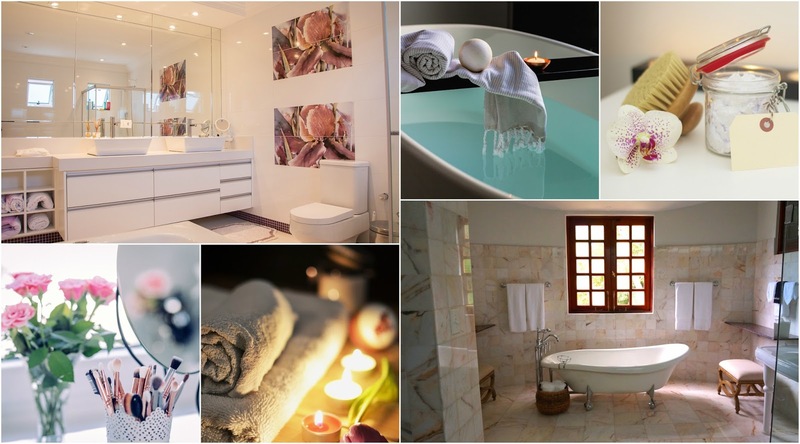 Your living room, bedroom and kitchen are likely to be adorned in stylish prints but what about your bathroom? I feel like the bathroom is often forgotten when it comes to prints and artwork but they can really help to give it more character and a little luxury style. 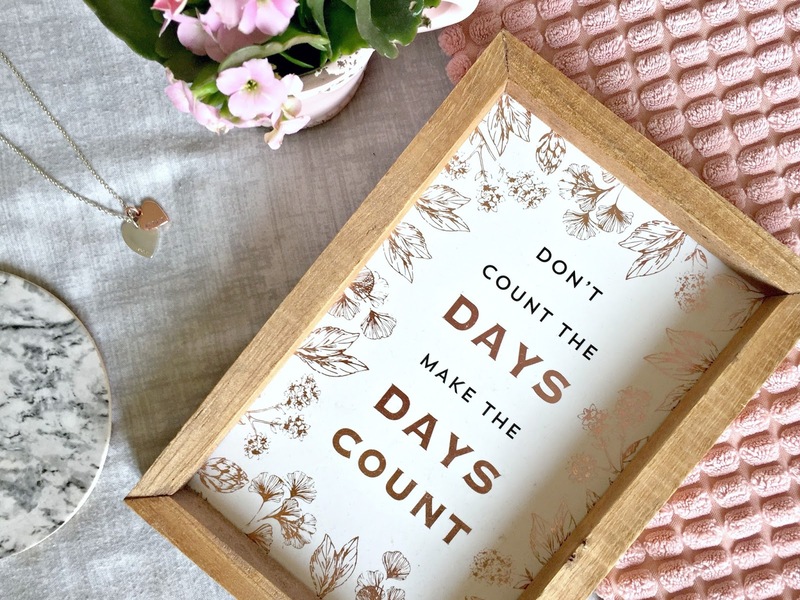 A simple quote that makes you smile, an illustration of your favourite perfume bottle or something botanical will make a beautiful addition to your bathroom wall. Speaking of adding a touch of luxury to your bathroom, why not invest in a tub tray? There's just something so Pinterest-worthy about tub trays balanced with a candle, fresh flowers and your favourite bath time read. Doing a quick spring clean in your bathroom can help to transform it's overall look and feel. Clear the clutter by throwing out any bathroom products that are empty or no longer used. You may also want to think about buying new storage containers, so you're not leaving products dotted on the countertop or adding shelves for a more organised look. Standard bathroom mirrors can look rather boring but there's no need for them to stay that way! Adding a fancy frame to your mirror is relatively inexpensive and a great way of adding style to your bathroom this spring. I love bathroom mirrors with a rustic wooden frame, as well as those with minimalist gold frames. Look on Pinterest for inspiration - there's frames to suit all mirrors and bathroom decor. 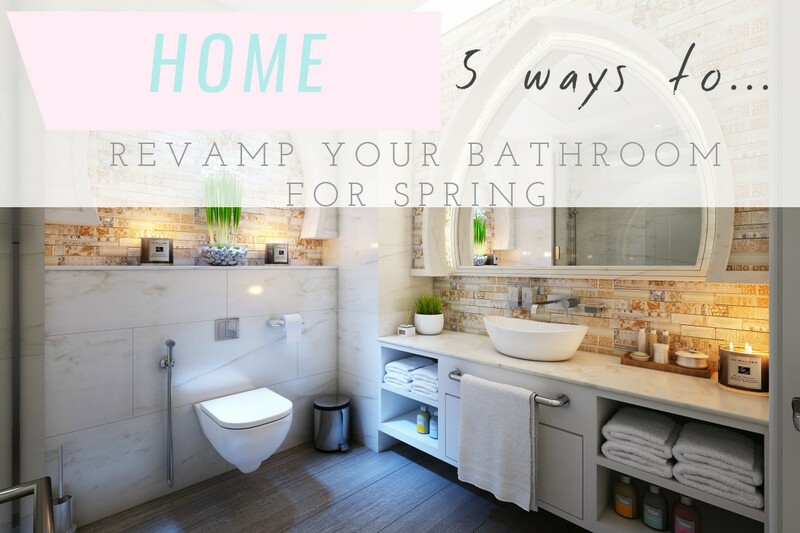 How will you be revamping your bathroom this spring? Baking is something I love to do and more recently, Arthur's been taking an interest in it too. 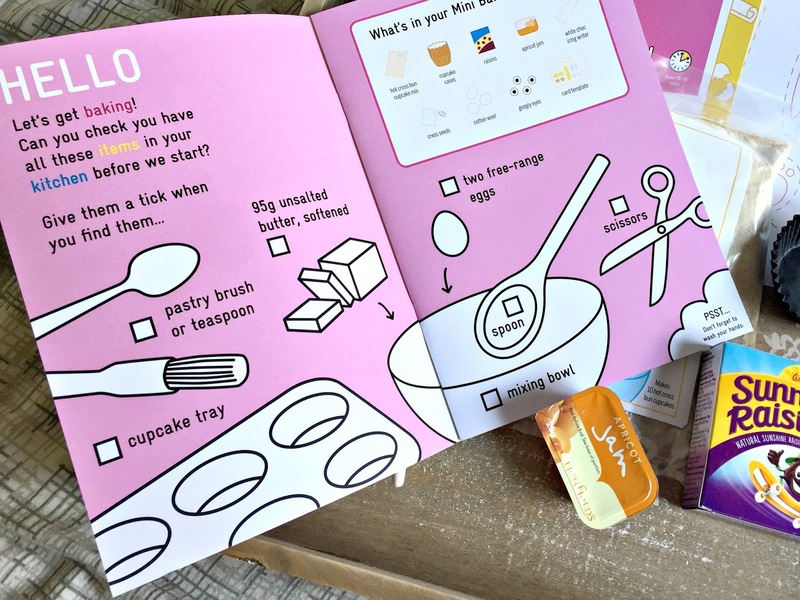 It's a great activity to do with toddlers and children (providing you don't mind a little mess) and subscription boxes like the Mini Bakers Club from BKD can make it all the more enjoyable for both children and parents. 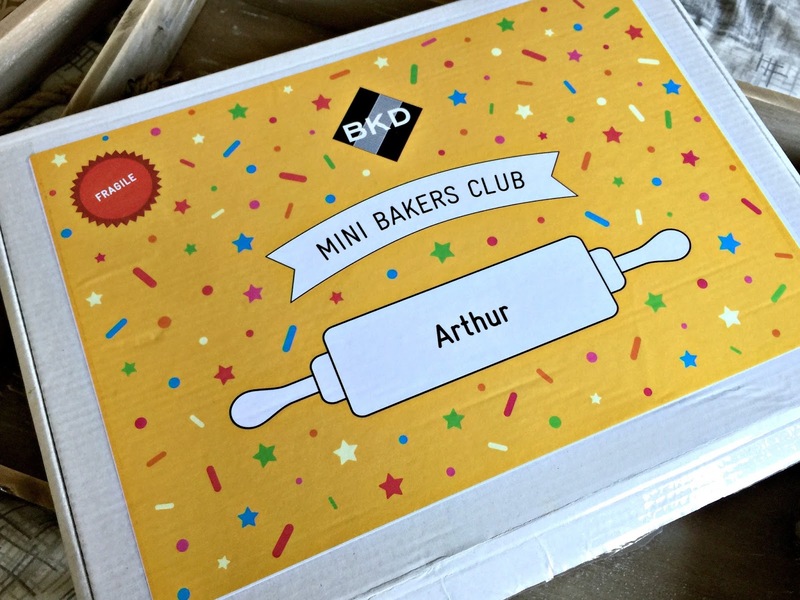 Mini Bakers Club is a subscription box by BKD (who you may have seen on Dragon's Den) and is all about encouraging children to get into baking and crafting. It was started by Adelle Smith, a mum living in East London, who took her passion for baking and crafting with her kids and turned it into a business! The baking subscription boxes are handcrafted in London and the company itself has already won 7 awards since it's beginnings in 2015. 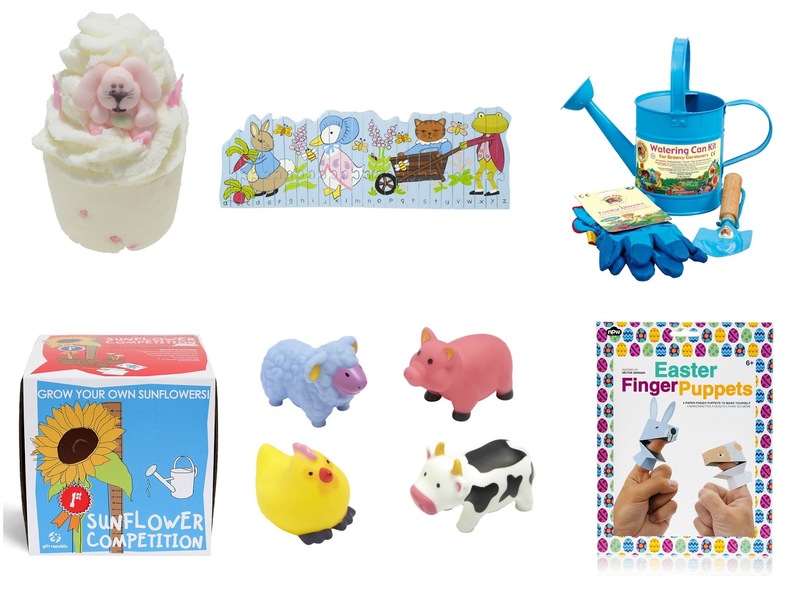 Once subscribed, Mini Bakers are sent a personalised themed box through their letterbox every month, with recipes, ingredients and fun craft activities to do. It's beneficial for busy parents, looking for things to do with their kids at home, as well as those who perhaps aren't as confident themselves in the baking department! 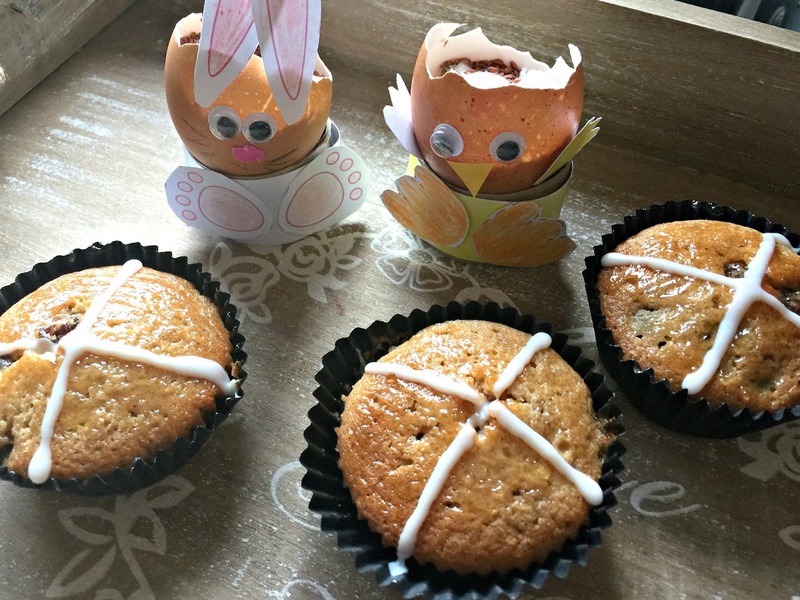 This month, Arthur received the Hello Spring Mini Bakers Club box*, which contained a hot cross bun cupcake mix and recipe (perfect for Easter), an activity booklet and a spring-themed cress growing craft project. 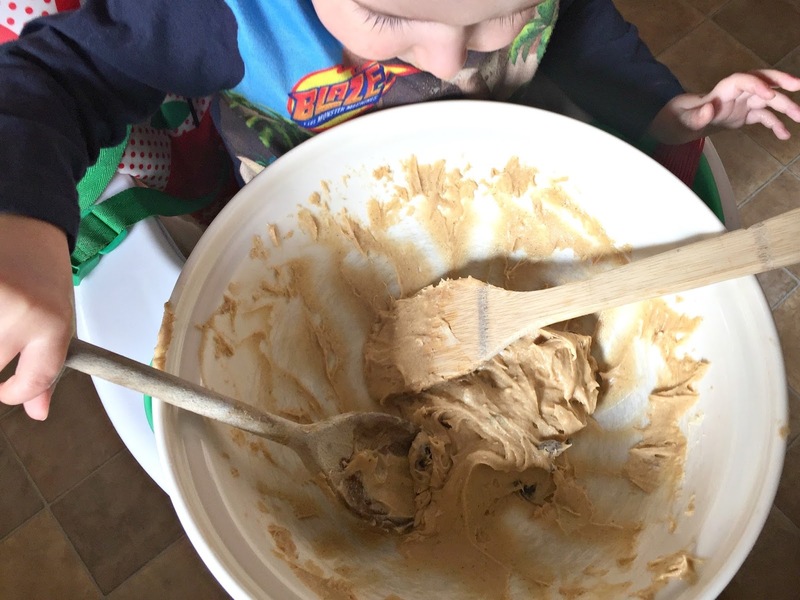 The box is designed for children aged three and over, so whilst Arthur is a little young at two, I knew that he would still enjoy the BKD box and be able to take part, as baking and crafting are things we regularly do together at home. What I like about the BKD Mini Bakers Club box is how straightforward everything is. The recipe is clear and easy to follow and having the ready-made-mix makes everything a little quicker. 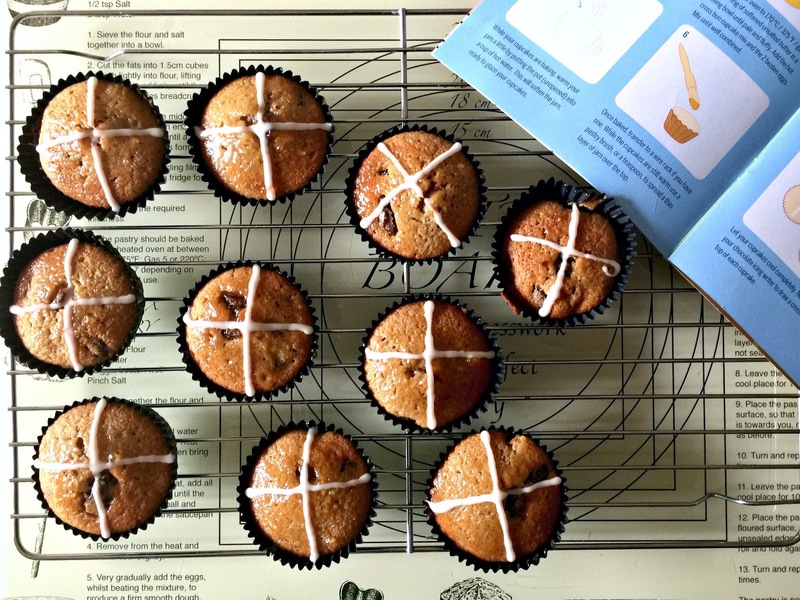 Obviously for the Hot Cross Bun Cupcakes, you needed to supply your own butter and eggs but all of the other ingredients, including the apricot jam, raisins and white chocolate icing were found within the box. 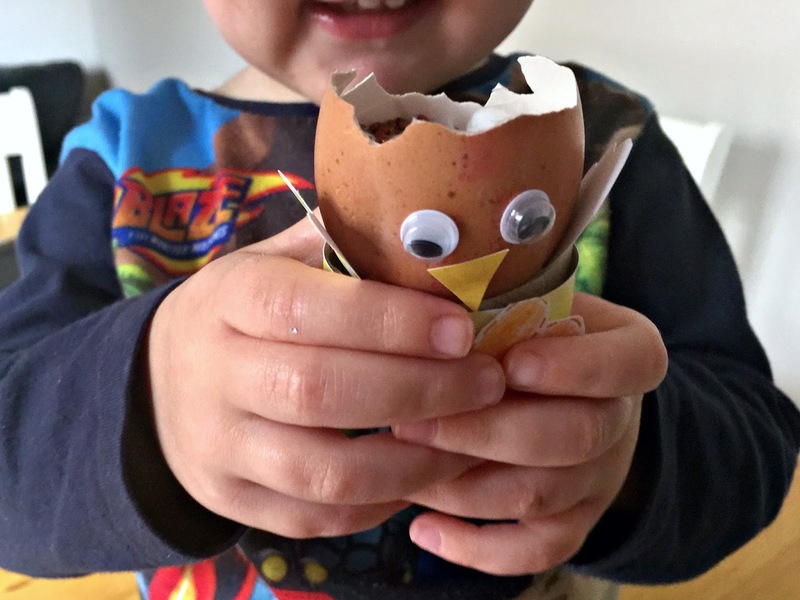 Arthur really enjoyed the baking project; cracking the eggs into the bowl, pouring in the ingredients and mixing everything together. Obviously I helped him with a lot of the baking, as he's only two but if your little one is a bit older they'd be able to do a little more themselves, with ease. 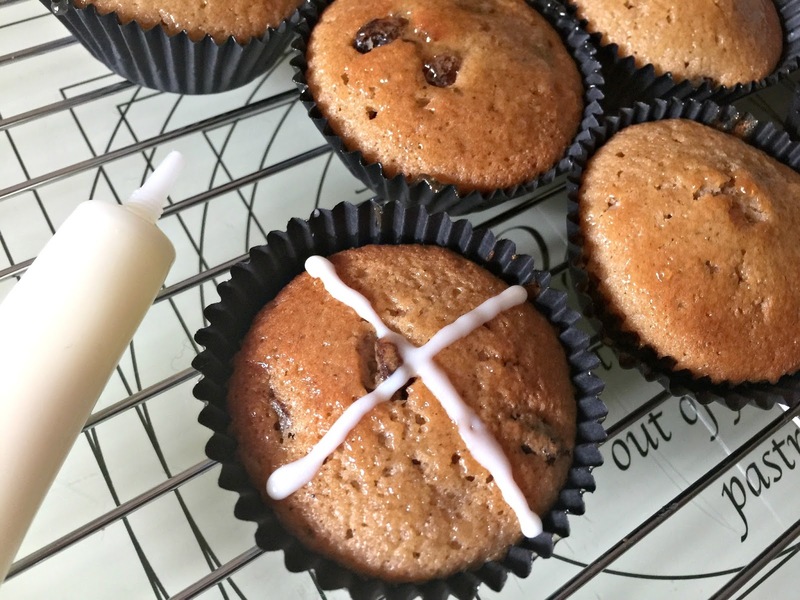 We were really proud of how our Hot Cross Bun Cupcakes turned out and even better - they tasted very authentic! 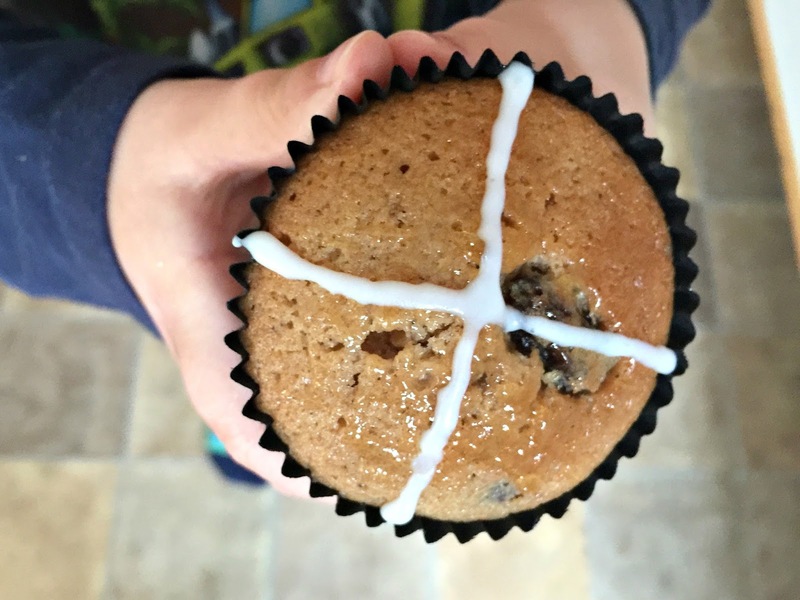 The mix made ten Hot Cross Bun Cupcakes in total - enough to share with family and any visitors. And even better - the box included a recipe for baking the cupcakes from scratch, so we'll be able to make them again in the future. After a little break (and snooze for Arthur) we had a go at the cress growing craft project. Arthur's already got his own little herb garden in the kitchen, so I knew this would be something he'd love. 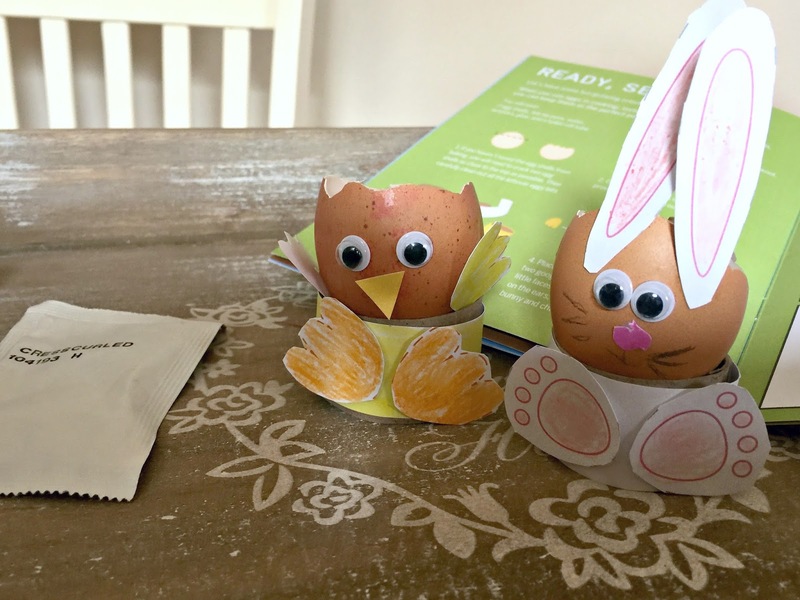 Again, the instructions were super easy to follow and I like that they made use of the egg shells from the baking project. Arthur loved the little spring chick and bunny designs and I can't wait to see his face when the cress actually starts growing! The booklet accompanying the box contains a few little activities, such as a checklist for the baking, an observation chart for the cress growing and fun facts on photosynthesis. I think Arthur is perhaps a little young to appreciate it fully but it's a lovely educational addition for slightly older children. I'm a big believer in children learning through play and think the BKD Mini Bakers Club boxes are a great way of encouraging this. The boxes would provide a great rainy day activity and would also make a lovely baking gift for kids. 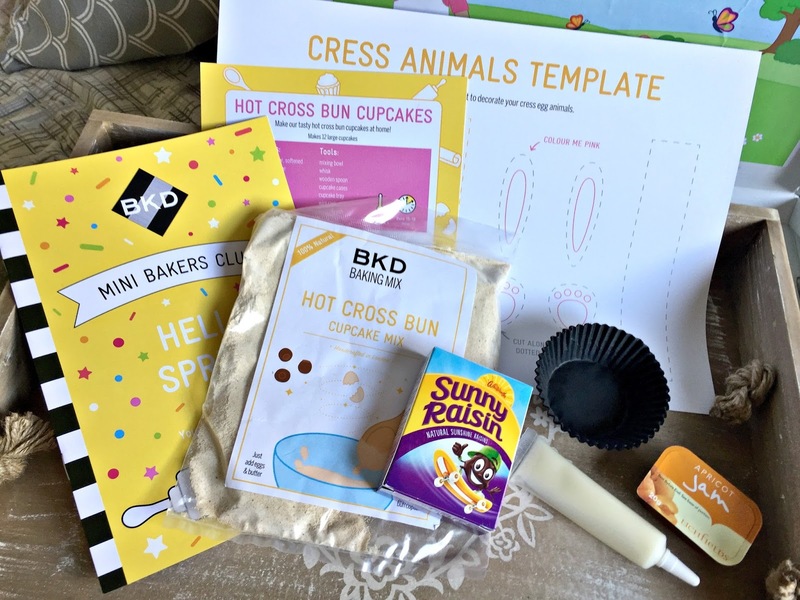 I particularly like the fact BKD combines both baking and crafting, making it better value for money than some of the other children's subscription boxes available. 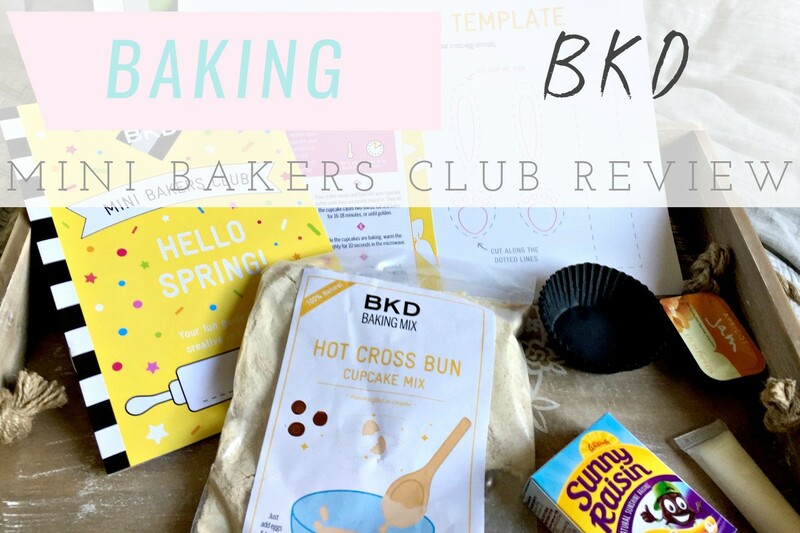 I would happily recommend Mini Bakers Club by BKD to other parents, especially those with slightly older toddlers and children, who could really get the most out of it. The boxes start at £8.99 per month (+P&P) and are available from the BKD website. Updated 5th February 2019 - Unfortunately it looks like bkd are no longer trading as their website is down and social media hasn't been updated. I will update this post if anything changes. Holidaying in Cornwall late January, we knew we were bound to get a lot of rain. It's not something that particularly bothered us, rain doesn't stop us getting out and about at the best of times - we just looked for some activities we'd be able to do whatever the weather and one of those was a visit to Carnglaze Caverns! Carnglaze Caverns is an underground slate mine, consisting of three man-made caverns. Located near the village of St Neot in Liskeard, it was just a fifteen minute drive from our accommodation at Forest Holidays Deerpark. It sounded like a really interesting and unusual place and we thought exploring caves would be something Arthur would love. On arrival, it was throwing it down with rain and with a very sleepy toddler in his pushchair, we weren't sure how successful a trip it would be. However, after popping into the ticket office to pay, we were told we'd be able to take the pushchair into the first cavern and start looking round there until Arthur was awake enough to walk through the next two caverns. The lovely lady in the office also gave us some information about the history of Carnglaze and equipped us with three yellow hard hats and a torch! I was happy to hear that we could do an unguided tour (and be able to look round at our own leisurely pace - much easier with a toddler) but I believe they do offer some guided tours in the busier, summer season. Entering the first cavern, we were surprised to see a licensed bar, stage and seating area! Yes, the Rum Store as it's known (because The Royal Navy stored their rum there in the Second World War) has been turned into a very unique and unusual venue for both music events and weddings. Inside we found a collection of the different minerals that had been mined in the South West, a long with information points with lots of interesting facts. 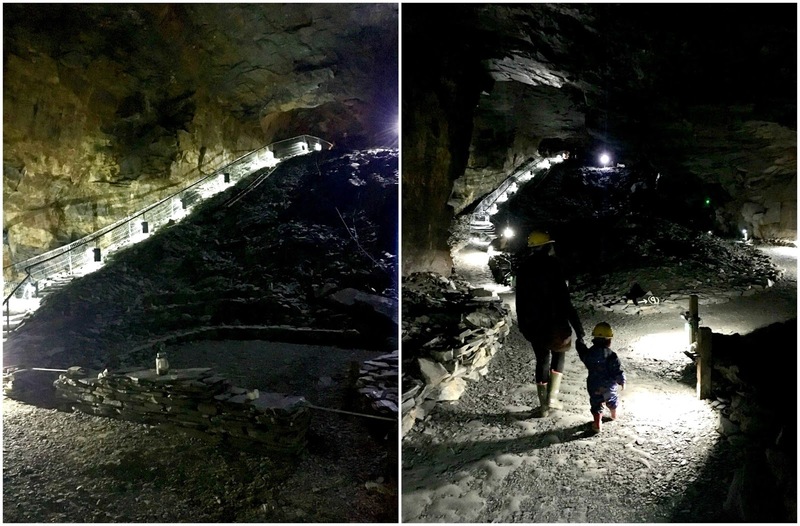 Once Arthur had woken up, we popped on his hard yellow hat (he was thrilled to be just like Bob the Builder) and made our way down the sixty-or-so steps to the next cavern. As we were the only ones in the caverns at the time, we were told we could leave our pushchair in the Rum Store and collect it later, which was really handy! In the next cavern we found more information points, which told the story of Carnglaze and the skills of the miners who worked there. 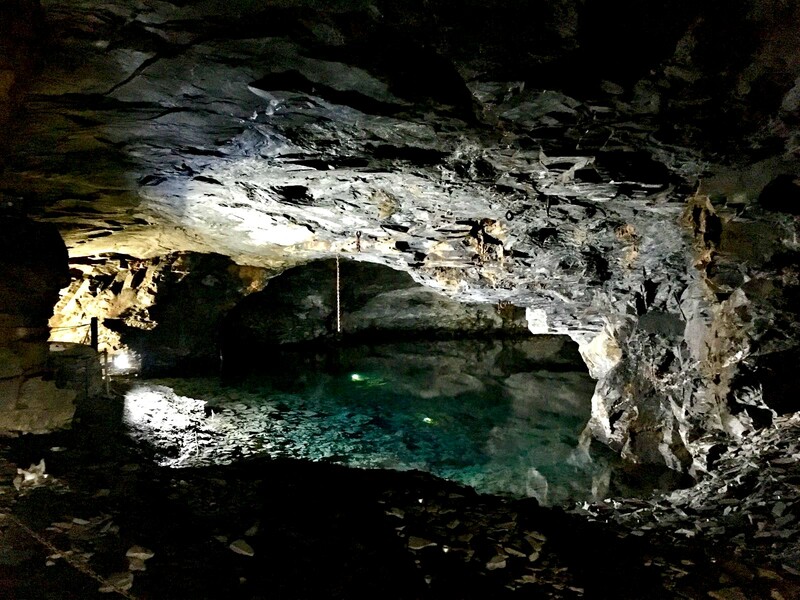 The last cavern was particularly interesting as it held a large pool, with crystal clear blue water. Arthur was fascinated by it all and loved listening to the echo of his voice. We were mindful of the bats living in the cavern and therefore weren't too noisy but it was a great place to take some really interesting photos! 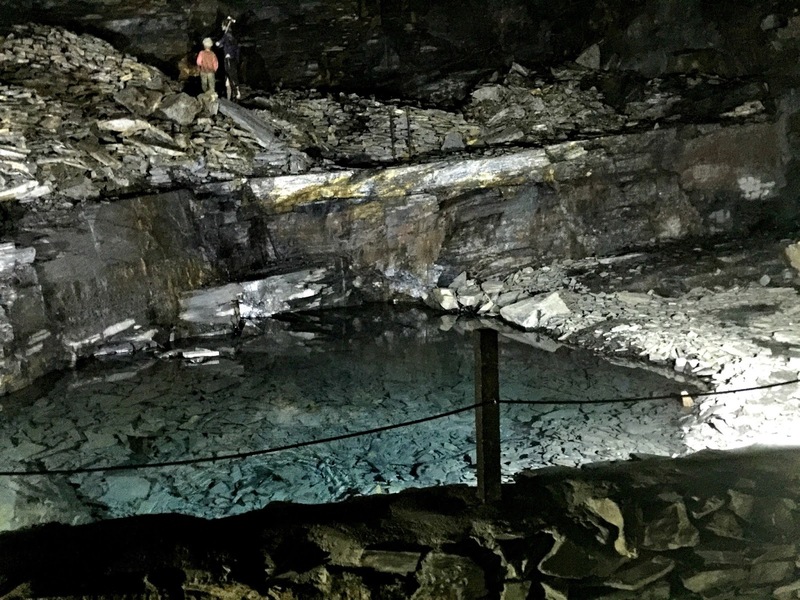 If you are looking for something a little different to do on your trip to Cornwall and enjoy learning about it's history, then Carnglaze Caverns will make a great place to visit. 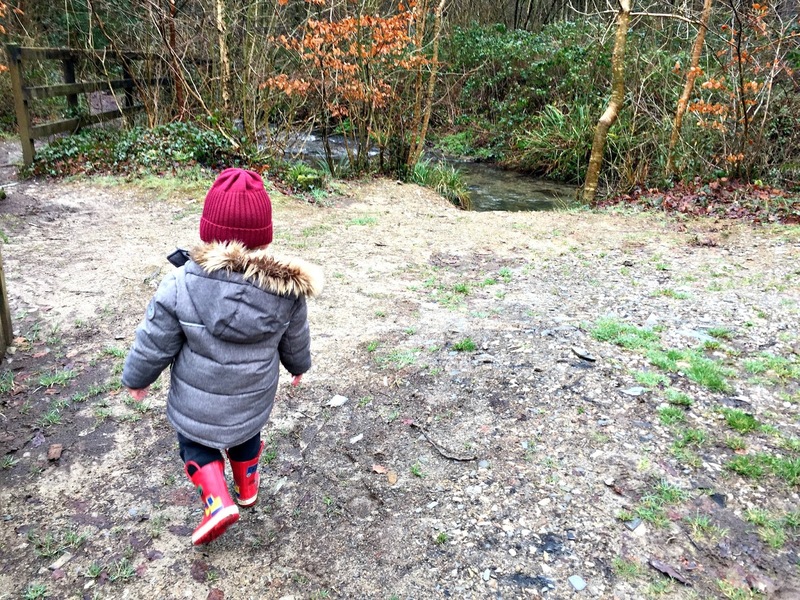 We really enjoyed exploring the caves as a family and only wish the weather had been a little better so we could fully appreciate and explore the woodland walk too - maybe next time! 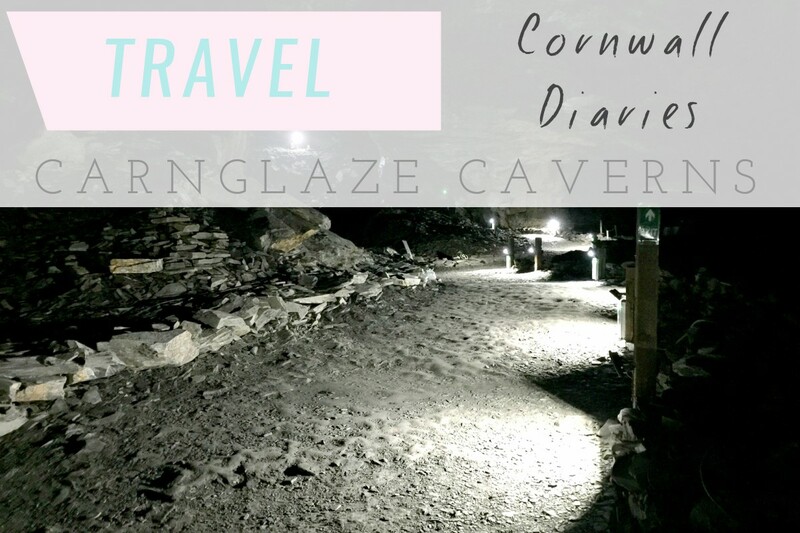 More information about this Cornwall tourist attraction and ticket prices can be found on the Carnglaze Caverns website. 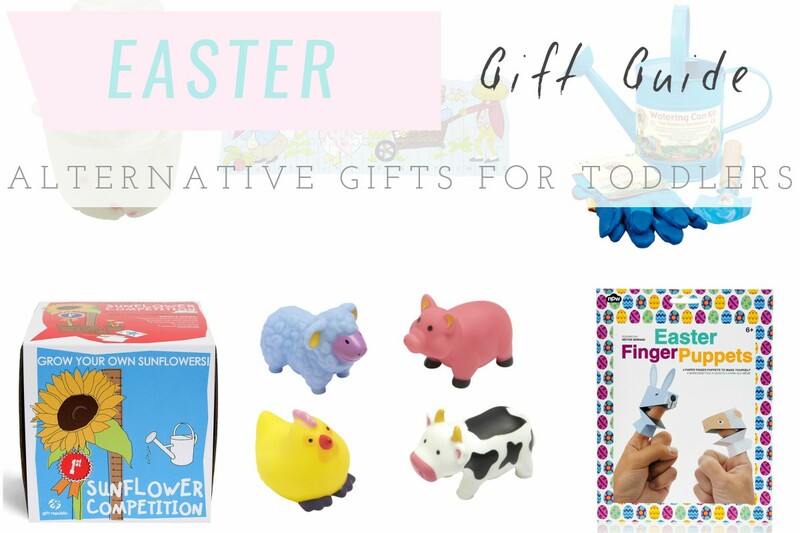 Every now and then I come across a product and think yep that'll be useful for other parents - let's share it on the blog! The latest product is these lovely personalised colour sticker nametags* from My NameTags. 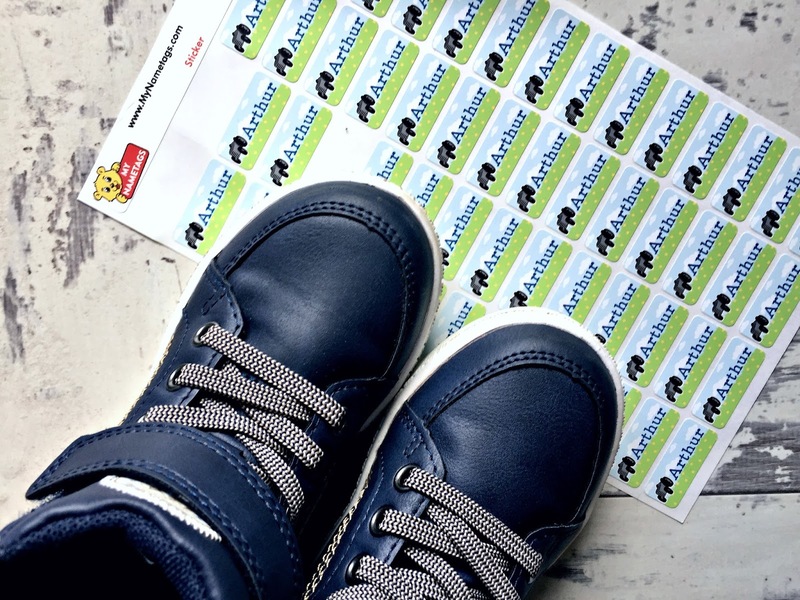 Ideal for sticking in clothing, shoes, as well as on lunchboxes, snack boxes and drinks cups, My NameTags can prevent kids' stuff from going missing at pre-school and nursery, so you're not constantly rummaging through lost property or having to re-purchase misplaced items. 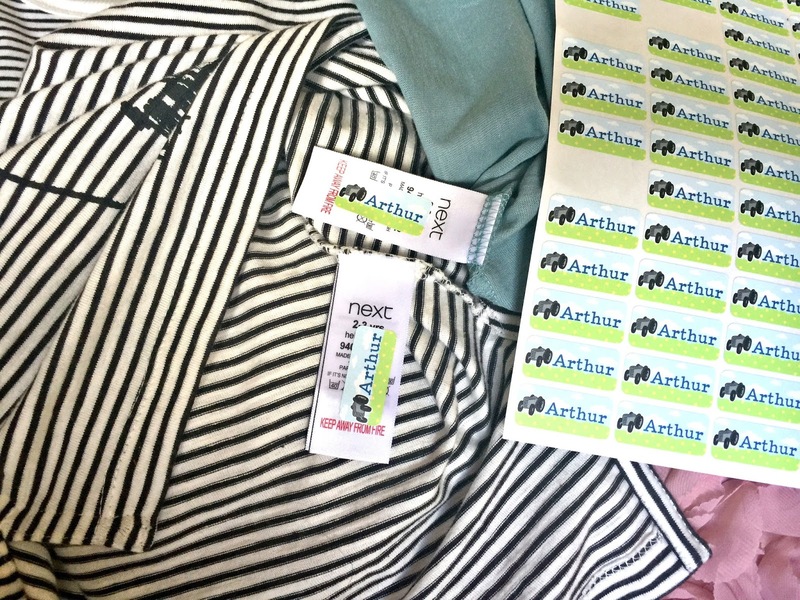 Although Arthur's not yet at pre-school, My NameTags wanted to send us some name tags to try out, as we may need them come autumn time! 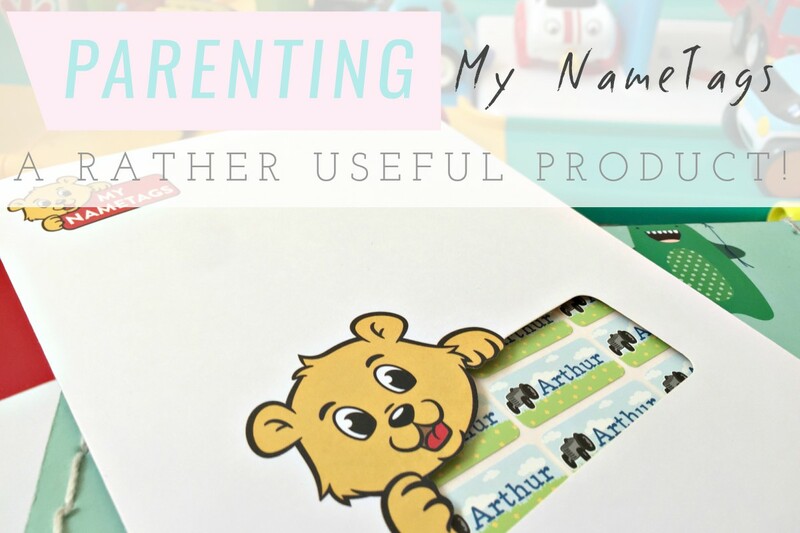 Their website is really straightforward to use and allows you to completely personalise your name tags with your child's name, favourite colour, font type and even a little picture. I decided to go for a tractor design as Arthur's really into his vehicles! You can also add another line of text, for their last name or perhaps even their class number. The colour sticker nametags are easy to peel off and place onto clothing wash labels. They stick really easily and are even waterproof, so you don't have to worry about them disappearing in the washing machine! 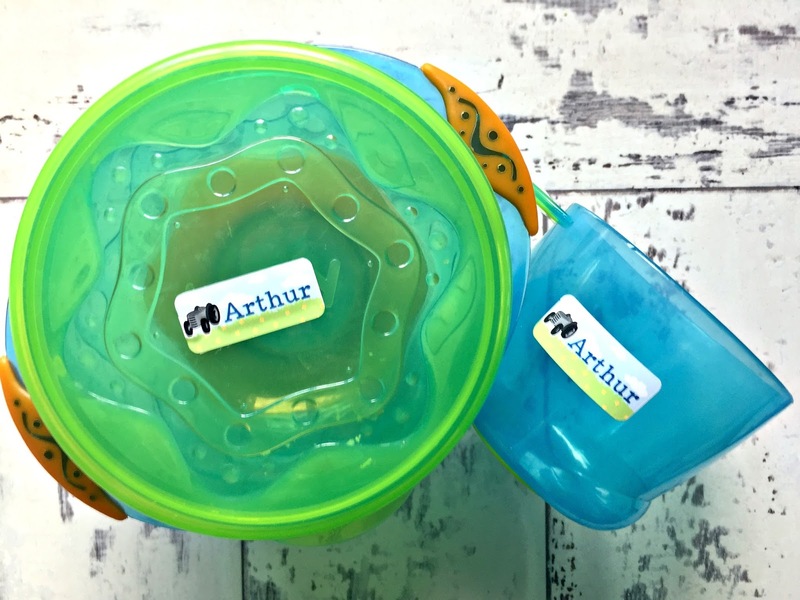 You can also stick them on items your child may take with them to pre-school, nursery or school, such as a lunchbox, drinks cup or pencil case. The colour sticker name tags are made to last and have the added benefit of being both dishwasher and microwave safe. I think My NameTags are a great idea and will definitely be something I use when Arthur goes to pre-school. They're fuss-free, time-saving and no sewing is required (phew!) They also have a fun element to them with lots of lovely personalised designs for you and your kids to choose from. Although Arthur's not yet in school, his education is something I spend a lot of time thinking about. Like any parent, I want the very best for him and I'm also one of those people that believes education doesn't begin and end solely in the classroom. 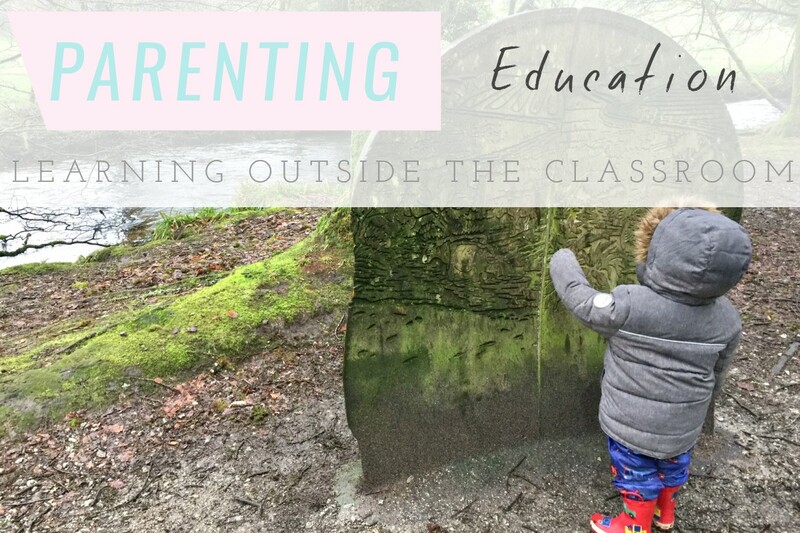 Alternative learning environments (like taking the classroom outdoors) can be really beneficial to children and I'm all for exploring innovative ways for making education more exciting for kids today. Together with Infinite Playgrounds, creators of sensory playgrounds, we look at the benefits of learning outdoors and how to adapt lessons to teach outside. One benefit is the opportunity for children to exhibit some physical activity that wouldn’t be possible indoors. In the school yard or in a sensory playground, there is lots of space for the children to run around and play — raising their heart rate and keeping them active. Another benefit is the encouraged use of imagination. There is plenty for children to discover outdoors; from plants they may not have seen before to mini-beasts that catch their eye. Before the children learn what these are, they might use their imagination with their peers to guess what a certain animal is or what one of the plants is called. This stretch of imagination will become useful when they begin to write creatively or during drama exercises. 85% of teachers reported that they saw a positive impact on their pupils’ behaviour when they were being taught outside. This could be down to the children finding more enjoyment in outdoor classrooms — 92% of pupils said that they preferred their lessons outdoors. It is possible that the introduction of outdoor classrooms could improve school attendance rates, too. If children are enjoying their lessons more, it is likely that they will have more motivation to come to school. Depending on the age group of your class, there are many ways that you can teach maths outdoors. 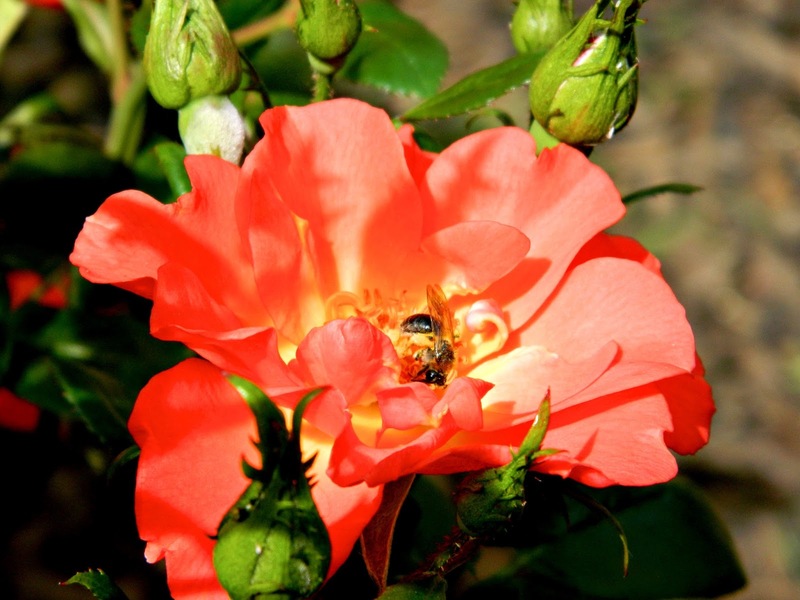 For the younger children, consider bringing shapes and counting outdoors and asking some of the following questions: How many petals does this flower have? How many circles can you spot? How many legs does the picnic table have? You could take pictures of the shapes to have a look at when you get back into the classroom. For an older age group, encourage them to measure each other doing the long jump or provide stop watches and let them time each other running a certain distance. When you get back to the classroom, teach the children how to plot these numbers on a graph. There is lots to do with science outdoors. You can teach children how plants grow and even allow them to plant their own seeds, visiting them regularly and explaining the scientific processes behind the plant’s development. Children can also learn about heart rate through exercising outdoors. It appears that most lessons can be taken outdoors and the benefits are hard to ignore, the next time you are planning your week ahead consider taking the class outdoors and allow your pupils to push their boundaries. 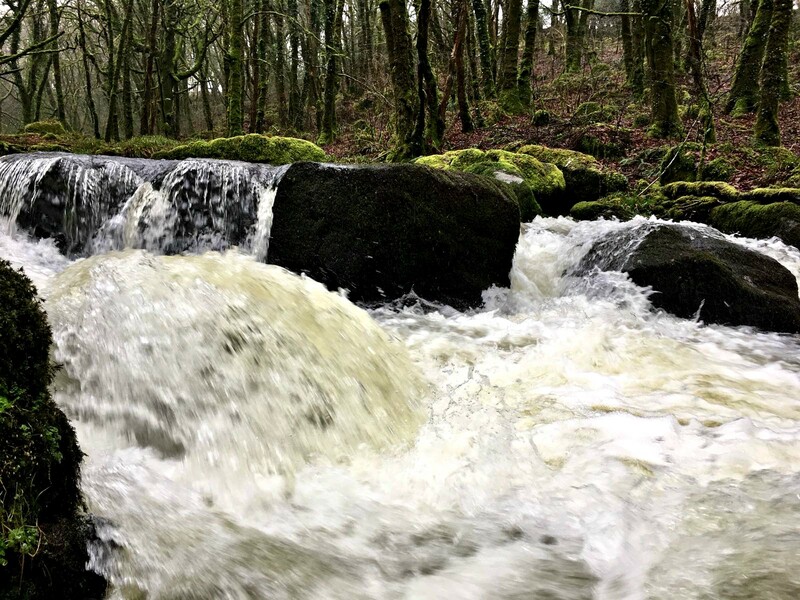 Golitha Falls is a hidden gem, a photographer's dream and a great place for a mini adventure. 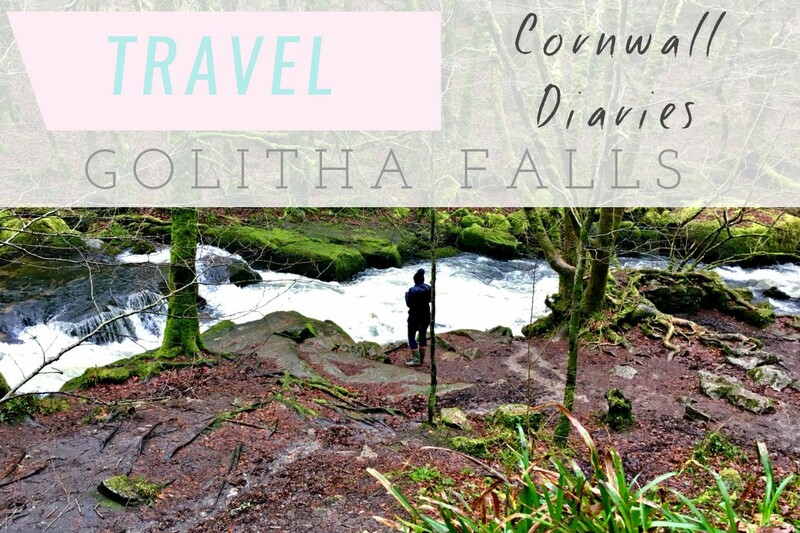 Arriving in Cornwall on a rather rainy day, we looked for things to do before we could check into our accommodation at Forest Holidays and came across Golitha Falls. Described as 'a series of spectacular cascades and waterfalls' flowing through ancient woodlands, it sounded like the perfect place for a rainy afternoon stroll. 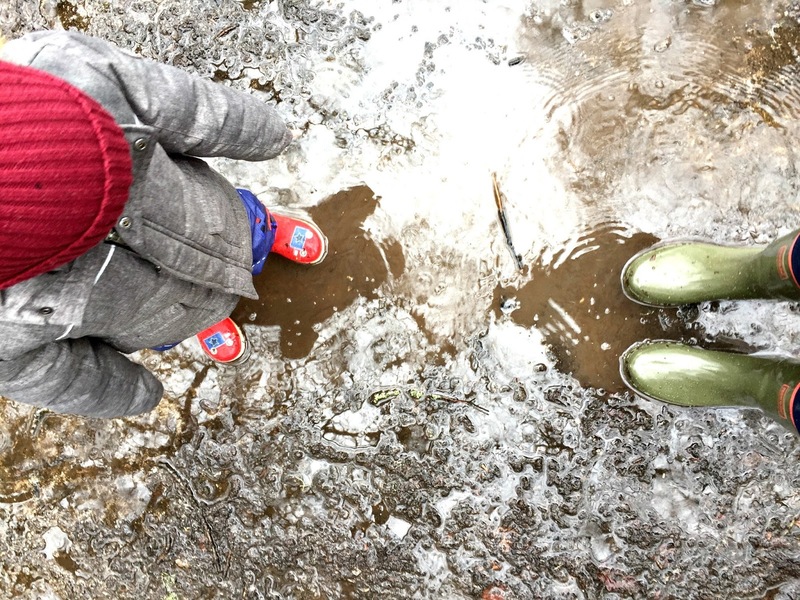 Being January, it was certainly welly weather and the only really suitable footwear (apart from walking boots) for the 'woodland trail.' I say 'trail' but there were a few times where it was more 'make your own path' with some small water-crossings. As far as I can remember there weren't any sign posts once on the trail and there were a few hard-to-avoid boggy bits. It definitely made for an exciting adventure but if you were wearing anything but wellies, you'd have pretty soggy feet. 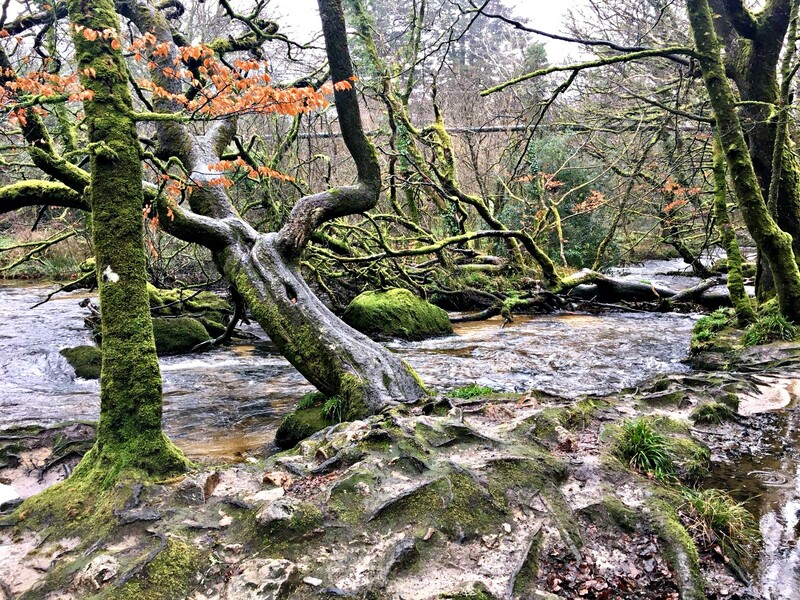 Golitha Falls is a walk you could do with an active toddler but I wouldn't describe it as pushchair-friendly. There's a lot of fast flowing water, so obviously you have to keep a close eye on little ones - we were lucky that Arthur was in a stay-close-hand-holding mood! Still, it's a walk toddlers can really enjoy, especially if they're looking for bears (as we like to do) or muddy puddle jumping. 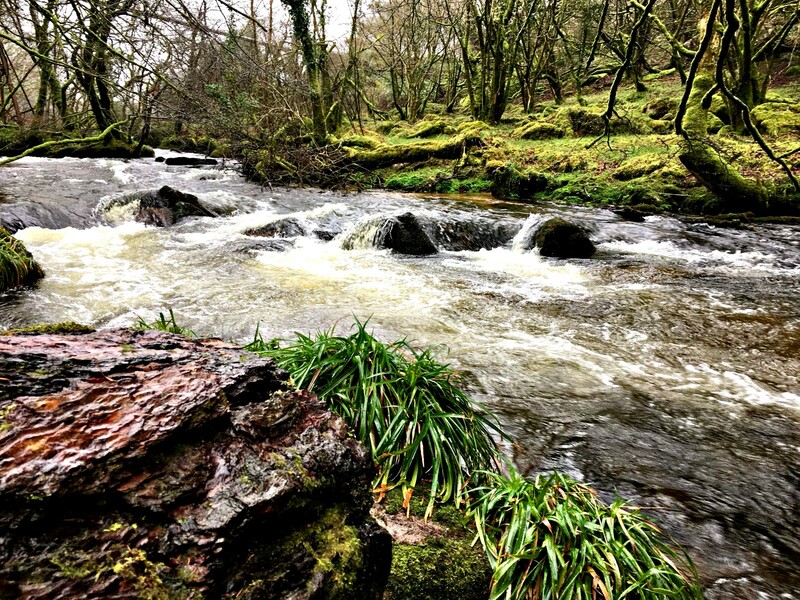 There was something so enchanting about the wild woodland with the River Fowey dashing through it. It was breathtaking in parts and felt like a really special place to walk through. My partner had great fun photographing the water and trying out different effects on his camera. I've actually pinched a few of his photos for this post, as me and Arthur were more concerned with taking silly selfies and welly pictures! I think what made our Golitha Falls walk even better was that it wasn't overly busy. We only saw a few people out and about, though I imagine it may be more of a tourist hotspot in the summer time. It wasn't the easiest place to find (we struggled even with a Sat Nav) but were pleased to find a free car park with toilet facilities (I'm one of those people that has to wee before they walk) on arrival. There was also a quirky looking restaurant called Inkie's Smokehouse in the car park, which looked great but was unfortunately closed on the day we visited. I believe it currently opens Wednesday - Sunday 10-4pm and looks well-worth a visit. 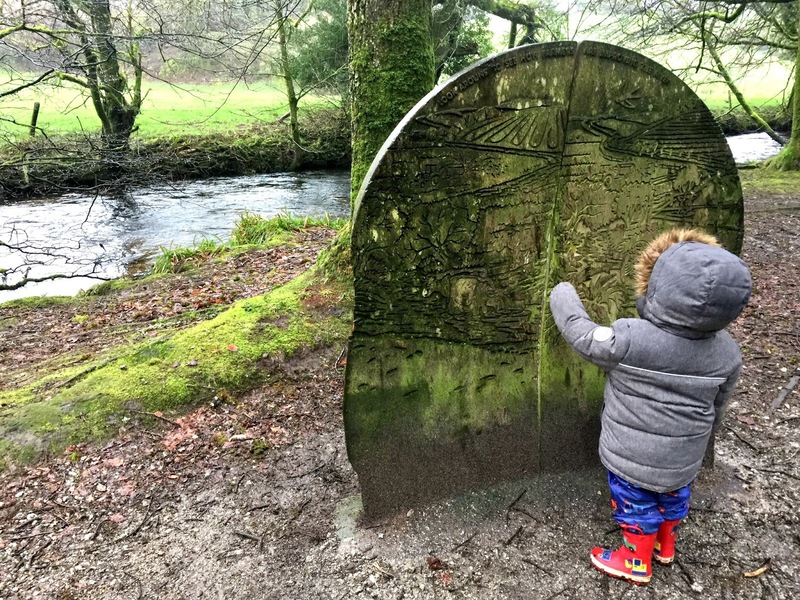 We really enjoyed our walk through the woodlands, despite the wet weather and would definitely recommend it if you are in the area and looking for something outdoorsy to do. Just don't forget your wellies! As a parent, I'm mindful of the foods I give to my son. I do my best to make sure he gets plenty of fruit and vegetables in his diet and I try to offer him varied meals (though at this fussy toddler stage it isn't always as easy as it sounds!) I personally don't think there's anything wrong with children having treats in moderation, so when Shaken Udder got in touch to see if Arthur would like to sample their kids milkshakes I was happy to give them the go ahead! 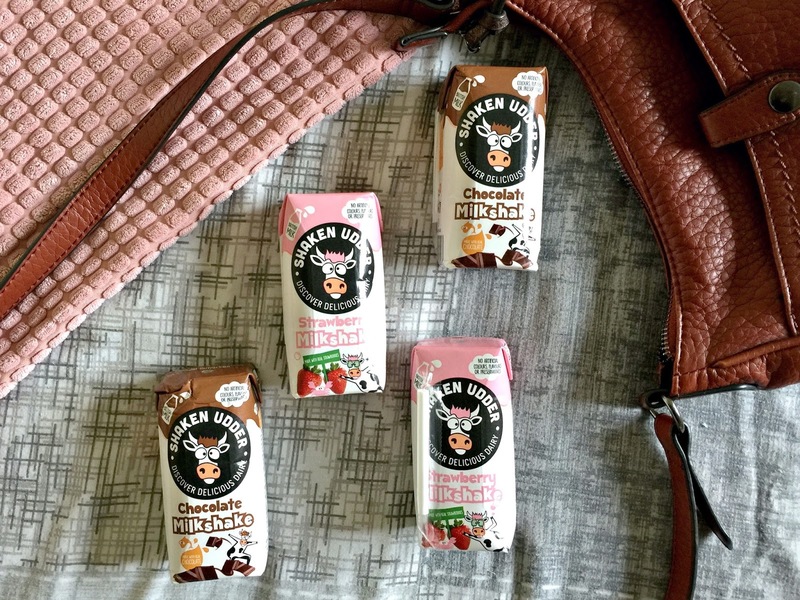 Before accepting the products, I did a little research and was pleased to see that Shaken Udder use fresh British Milk (a great source of calcium) and do not use any artificial colours, preservatives or flavours in their milkshakes. The Strawberry Milkshake is made with real strawberries and the Chocolate Milkshake is made with Belgian chocolate. I was also reassured to see that with less than 5% added sugar, the Shaken Udder Kids Milkshakes are school-approved. 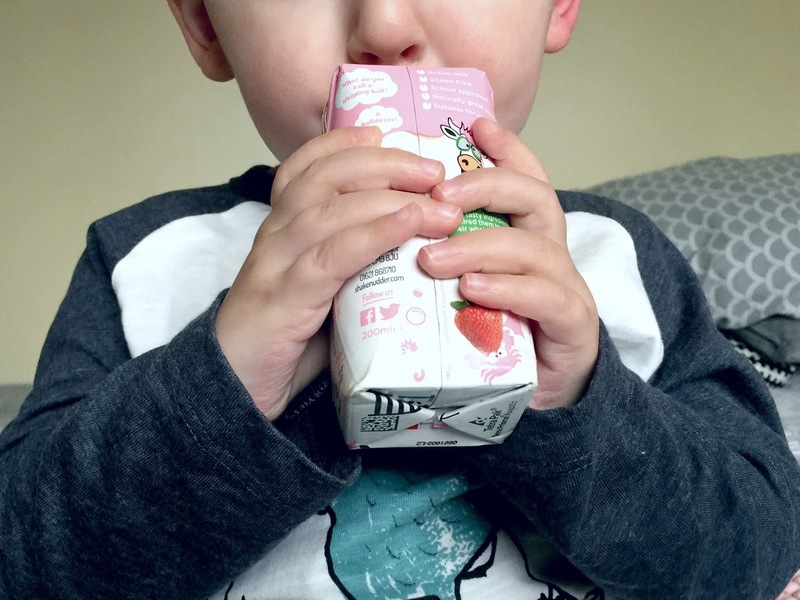 The kids milkshake cartons are a great size, suitable for popping in your handbag when you're out with your little ones. Both flavours are also suitable for vegetarians and gluten-free. But I guess what you really want to know is, what they taste like? Well I'm pleased to say that the Shaken Udder Kids Milkshakes* got the thumbs up from both me and Arthur. We tried the strawberry milkshake first and both thought it was delicious. It's sweet but tastes of strawberries, unlike some other milkshake brands, which tend to have an artificial and almost powdery taste to them. The chocolate milkshake was also a big hit with Arthur. I'm not as fond of chocolate drinks in general but it definitely got his seal of approval. 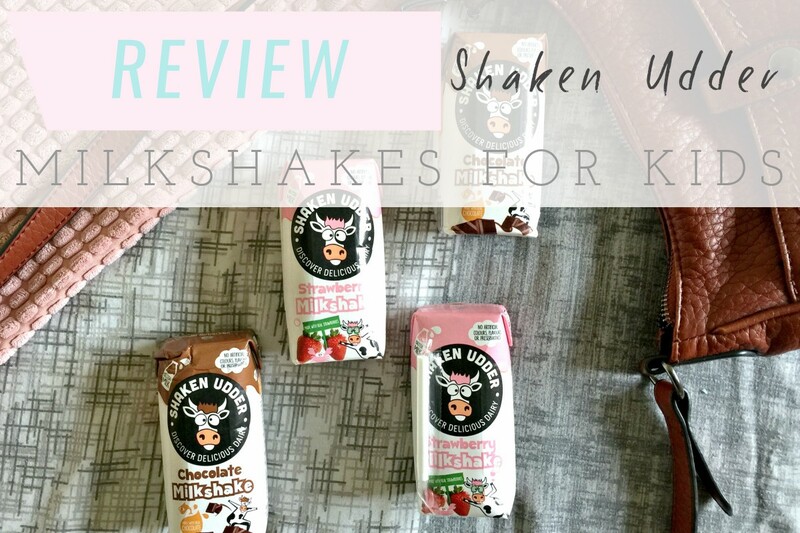 He says they're 'belicious' (that's his version of delicious) and taste like ice cream (one of his favourite things ever) so I think that's a pretty good review for Shaken Udder! 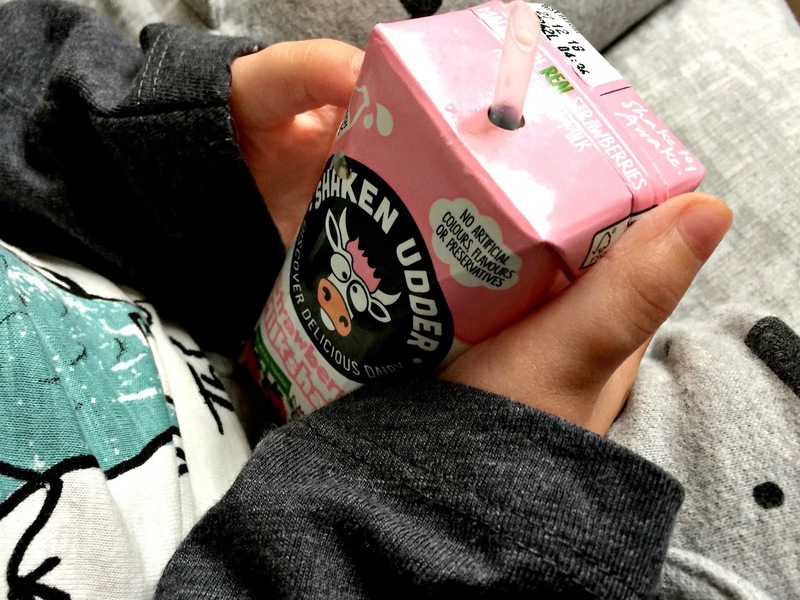 Seeing as we loved the Shaken Udder Kids Milkshakes so much, I'll definitely be picking some up for Arthur and maybe even some of the 'grown up' milkshakes for myself. After all, we all deserve a treat every now and then! It's been a little chilly here in the UK hasn't it? Yes, despite March usually marking 'the start of spring' we were hit with a ton of snow and the aptly named Beast from the East. 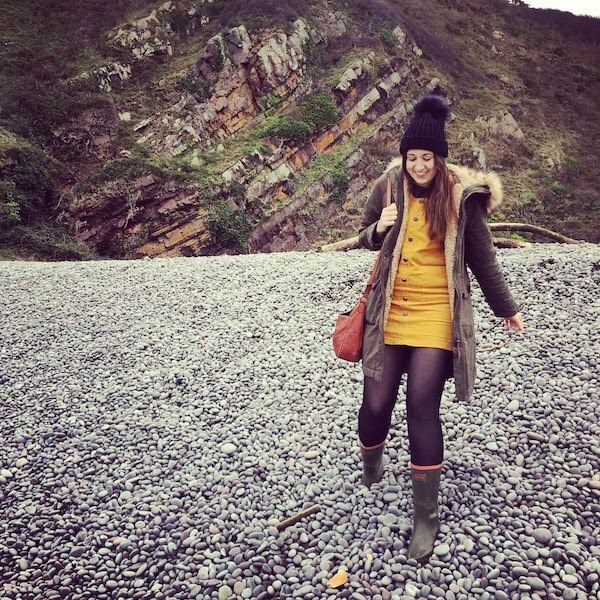 Instagram was rife with beautiful snowy scenes, cute kids building snowmen and fashion bloggers braving the cold in outfits you definitely wouldn't wear in the snow...erm where were your big coats and wellies guys?! We had our own snow fun and built Arthur's very first snowman but I have to say, the cold weather has left my sensitive skin feeling a little worse for wear. 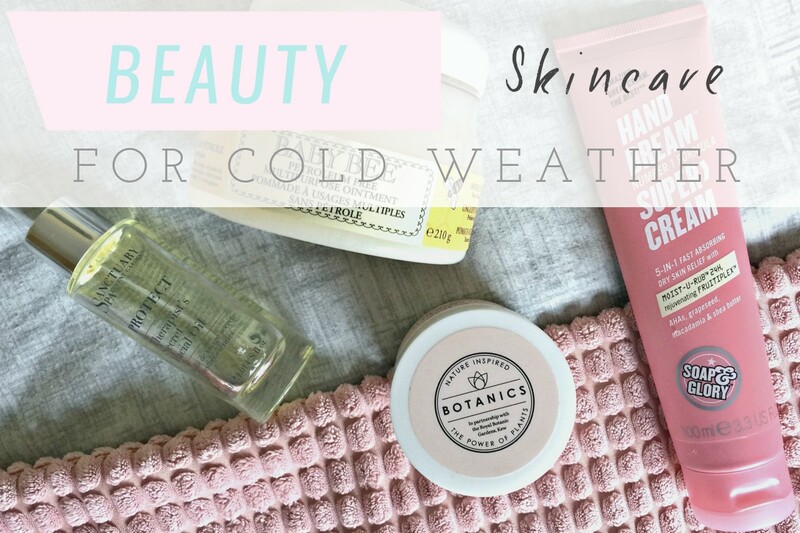 With this in mind, I thought I'd share some of the skincare products that have been helping me to battle the cold and soothe my skin! I really enjoy using healthy oils as part of my skincare routine. The Therapist's Secret Facial Oil from Sanctuary Spa is great for adding moisture to the skin, which is something I've really needed this past week or so. I usually apply it after I've cleansed (and toned - depending on whether I've been lazy or not) both in the morning and the evening. It's definitely helped to keep my skin hydrated and gives it a lovely dewy glow. You only need to use a couple of drops at a time, so it lasts a good while and can be applied under makeup. 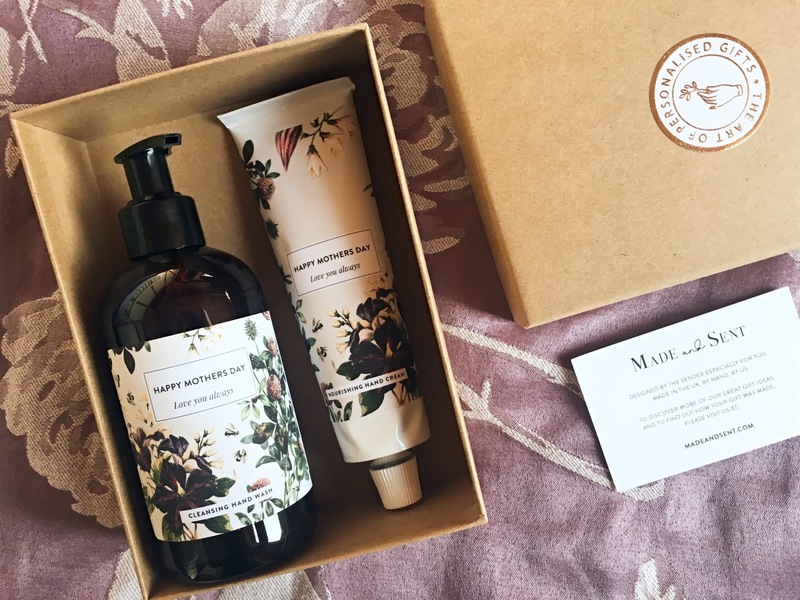 Botanics is a brand I'm really quite loyal to - I've been using their skincare products for years and find they really suit my skin. Their skincare is reasonably priced and there's different ranges to target different skin issues. The All Bright Hydrating Day Cream is a lovely light moisturiser that hydrates the skin and leaves it feeling silky smooth. It contains hibiscus extract, known for skin brightening and also has added UV protection. I love applying this over my Sanctuary Facial Oil and also use the night cream, which is slightly heavier, in the evenings. My hands definitely suffer in cold weather so I've been taking extra care to apply hand cream and keep them soft. 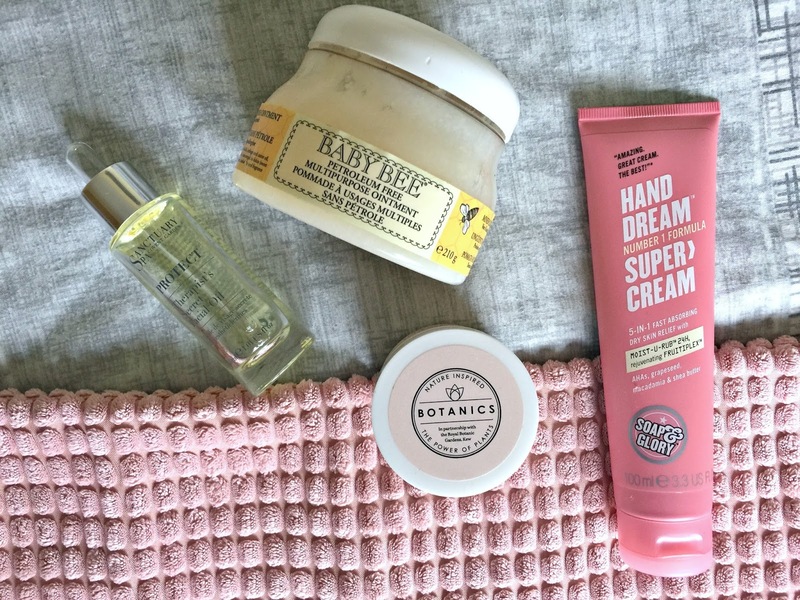 I was never a huge fan of Hand Food by Soap and Glory but I love their Hand Dream Super Cream. It's really moisturising without being overly greasy (the problem I had with Hand Food) and has a lovely light scent. It's described as an intensive hand cream and seems to last a good while on the hands, though I do like to top it up throughout the day. I'm not sure why I can no longer find this on the Boots and Soap and Glory websites? I've had it a fair while, so I'm wondering if it's been discontinued, which is a shame. Having said this, I think it's available on Amazon, so worth having a search for! I've also been mindful of the cold weather's affect on Arthur's skin and have been using this multipurpose ointment from the Burt's Bees Baby Bee range to keep him soft and smooth. What I like about this multipurpose ointment is that it actually creates a barrier on the skin, which is particularly effective in cold weather conditions, as it helps to prevent dryness. I find that it has instant results and feel confident using it all over his skin, as it's 100% natural and doesn't contain any nasties. In the past I've also used it on his nappy area to prevent nappy rash and find it works a treat. Do you have any cold weather skincare favourites of your own?